The wet West and cold East continue to do battle on the meteorological stage which, unfortunately for those of us who were hoping for a decent winter, means that the mild yet stormy conditions that have prevailed since new year are set to stay for at least the next few weeks. This wouldn't be so bad if the occasional dry and sunny patch would fall on a weekend but alas it seems I'm cursed to witness these rare occurrences from the confines of my cell office. It's even got to the point where furtive glances have been made in the direction of my waterproof trousers (I'm not a fan, as you can probably gather). Fortunately things haven't got that desperate just yet with a break in the weather on Sunday allowing us out once more to stretch our legs. 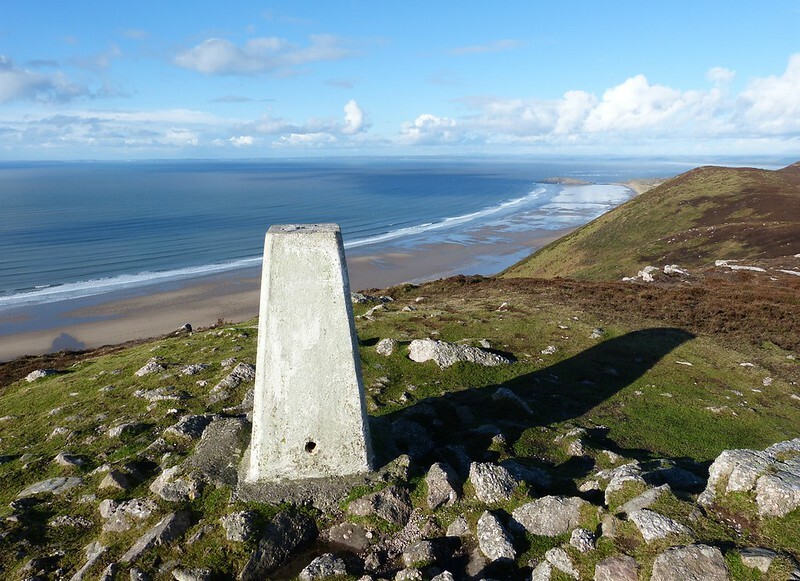 Rhossili Downs was destination of choice and after a short climb to the summit trig point we were rewarded with stunning views across the peninsula. On the bird front everything was rather quiet with flight views of two Chough early on being the definite highlight. Other than a couple of Meadow Pipits, Ravens and Crows the ridge walk itself was almost completely devoid of anything feathered, until that is we arrived at the old WW2 radar station. 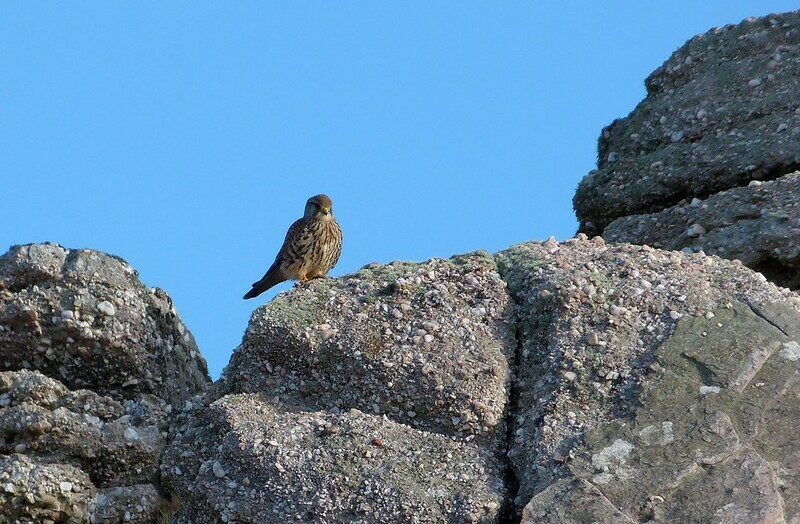 Here a stunning Kestrel was at hunt giving us superb views both whilst hovering and after landing on the ground. I crept as close as I dared for a couple of distant photos and once again was impressed at the size of these birds up close. For some reason they always appear bigger than I expect. A noisy Wren heralded our arrival at Hill End campsite before the return journey back along the beach. I kept my eye out for any of the rare gulls which have been spotted in the bay recently but am well aware that I need to brush up my identification skills in this area and didn't spot anything more unusual than Mew Gulls. Oystercatchers were in great abundance whilst we struggled to get closer views of the hundreds of Common Scoter way out in Rhossili Bay. Three Fulmar off the old fort were much easier to observe and breaks my misheld belief that they only return to this area in the Spring. Just goes to show that you never stop learning and on that note I'm off to study plumage variation in immature Gulls. I may be some time.